Melton were narrow winners of the reverse fixture early in the season, but there was no drama in Saturday’s home rout. 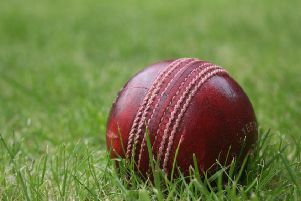 The hosts faced opponents who had beaten high-flying Lincoln seven days previously, but there was little seasonal cheer for the visitors as Melton’s pack imposed themselves from the off. Grimsby had a large set of forwards but they were scrummaged off the park. The first score arrived early when the ever-reliable front row of Dave Osborn, Marcus Badham and Bobby Prior overwhelmed their opposite numbers, with James Long and Dan Wakefield providing extra power when required. The beneficiary was Klay Radford who danced his way through the defence for the opening try. Chris Rose added the conversion. The forward dominance led to a string of penalties, and from a trademark lineout catch and powerful drive, Badham went over with Rose striking the ball sweetly to convert from the touchline. Soon after, another forwards drive left Grimsby back-pedalling and Badham scored again. The set scrum was a comfortable attacking platform and Ryan Kemp attacked from the base of it, breaking several tackles before he was stopped just short. Wayne Brooks grabbed the ball for an opportunist try and Rose added the extras. Wave after wave of attacks were launched by Melton who showed real confidence in every facet of play. Dan Wakefield showed his class with an amazing pivot and sprint for a fine solo try. Another Rose conversion gave Melton a comfortable 33-0 half-time cushion. Grimsby returned a far more determined side and took the game to Melton, playing far better in defence and attack. Melton had to up their game and showed great concentration to defend their good lead with sound tackling, especially from Duncan Lennox and Leon Gormley. With the forwards stealing all the limelight, the backs decided to get in on the act as both Radford and Carl Prior took the ball into contact with real grit. Prior went close to scoring with a stunning break through midfield, but offloaded to Dave Osborn in support who scored. James Woolley and Goose threatened on the wings with some scything breaks, and the backs continued their purple patch as Phil Stimson made a break at scrum-half with endless side-steps. He was tackled by the full-back, but Rose was there to score and convert his own try. Ben Warwick joined in the fun, injecting pace from full-back with some finely-timed runs into the line. Prior and Gormley broke tackles and made brilliant hand-offs to leave tacklers trailing in their wake and were both unlucky not to get on the scoresheet. Fittingly, the final word went to the forwards who were superb all afternoon. James Stapleford cleverly set up a well-worked forwards drive, but appeared to have the ball smuggled from him as he was set to score, allowing team-mate Badham to complete his hat-trick and bring up the half-century.